Take care of your tyres and they will look after you! Tyres may not be the first thing you consider when it comes to vehicle safety, but tyres are your vehicle’s only link with the road. In fact, your safety (and that of your passengers) actually relies on an area of contact between the tyre and the road surface, which is no bigger than the palm of your hand. In addition to grip, tyres also support the weight of the vehicle and provide drive and directional control. The following checklist outlines a few simple procedures, which, if carried out regularly, will ensure your tyres remain safe and you get value for money in terms of performance and service life. Select the right tyre for your vehicle ensure they are of the same size, load index and speed symbol. Inspect tread depth to ensure tyres are safe and legal Always ensure your tyres conform to the UK minimum legal tread depth of 1.6mm. We stock a wide range of tyres from all the major top brands. Whether you need car tyres, 4x4, tyres or van tyres, Cheadle Tyre & Auto will sort it out. 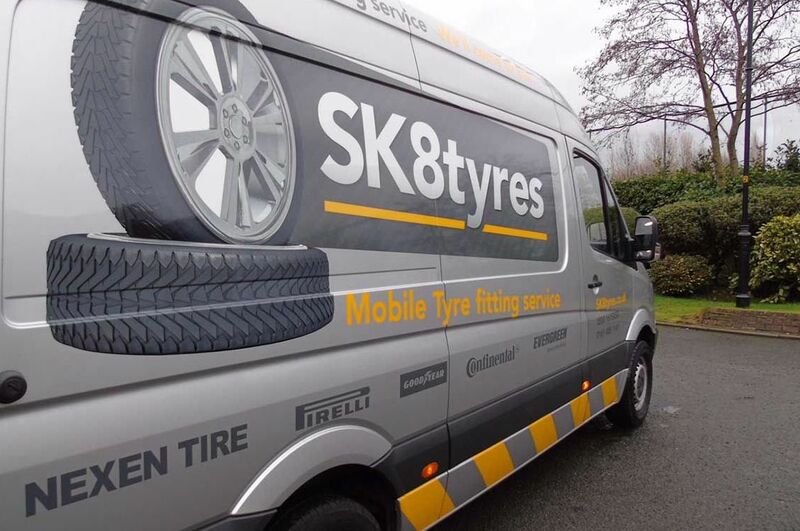 Book your tyre fitting online or over the phone at a time and place to suit you.